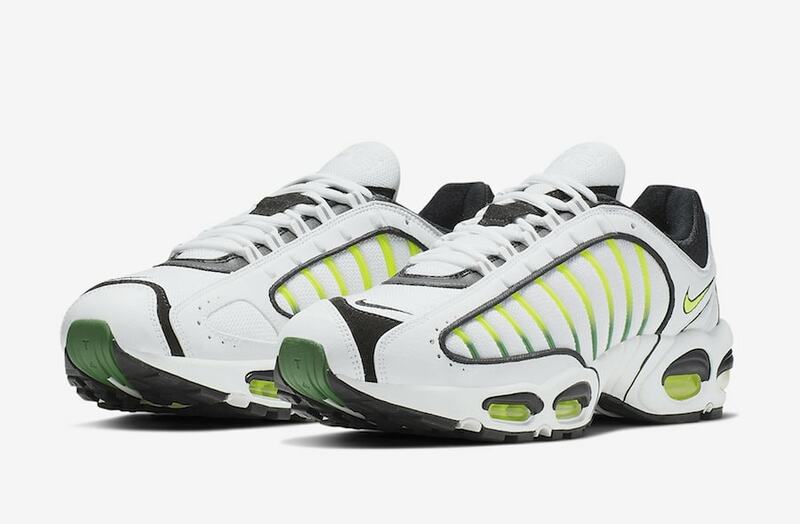 A running shoe originally released in 1999 looks to be making a major comeback this year as official images surface of the Nike Air Max Tailwind 4 in a eye pleasing volt colorway. Nike is known to reintroduce older silhouettes with a big collaboration to gain hype around the model. They followed the same template this time around as they reintroduced the 90’s running shoe by teaming up for two pairs with Supreme. With the attention the shoes got, Nike looks to add new original colorways to the retro runner. To start, the upper consists of white leather and mesh which is contrasted well with black trim. 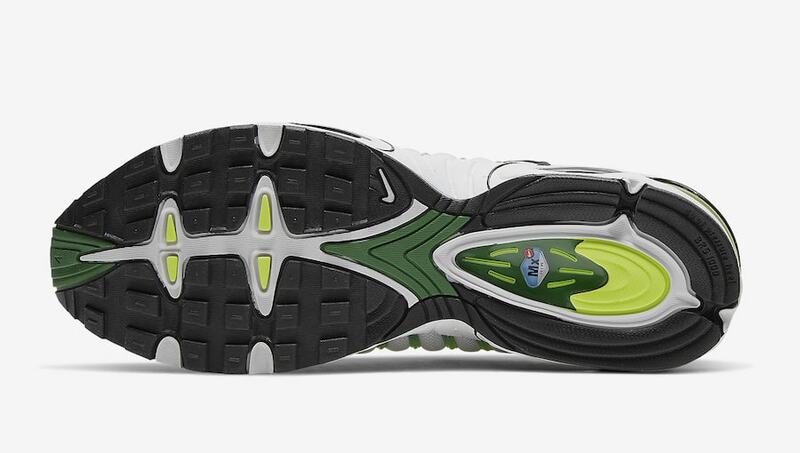 A splash of color is then added on the midfoot as volt and aloe green cover the overlays. 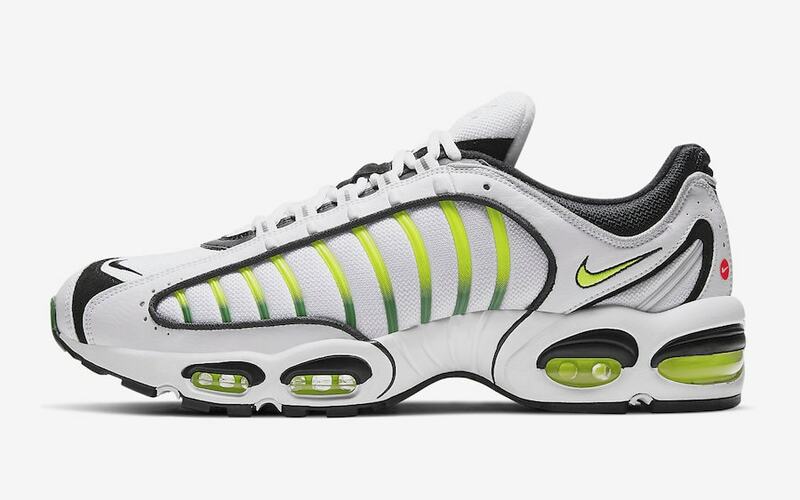 Furthermore, the branding on the shoe is ever so subtle as the Nike swoosh is embroidered in twice, once in black on the toe, and in volt right below the ankles. 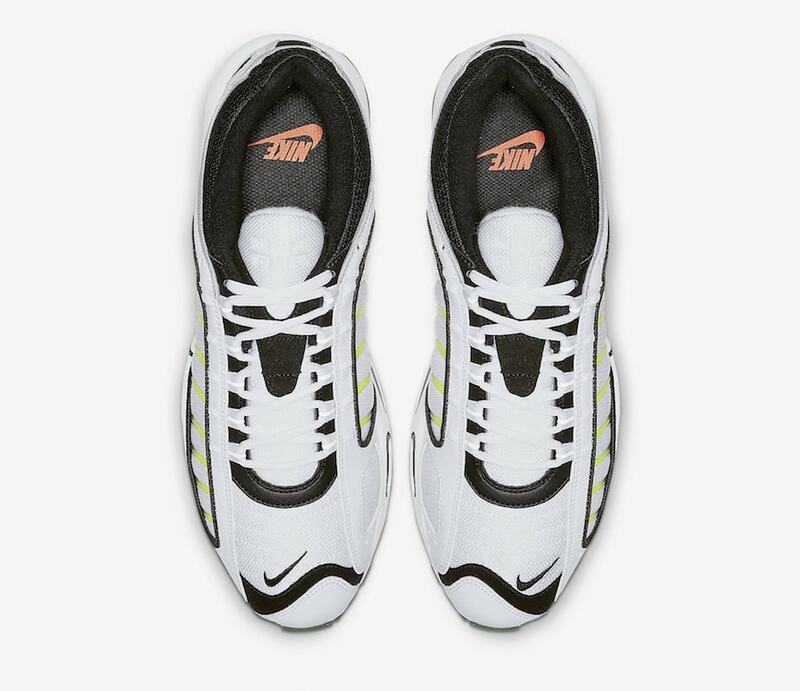 Finally, the upper sits on top of the classic Air Max unit midsole that is highlighted by the volt color that is found on the upper. 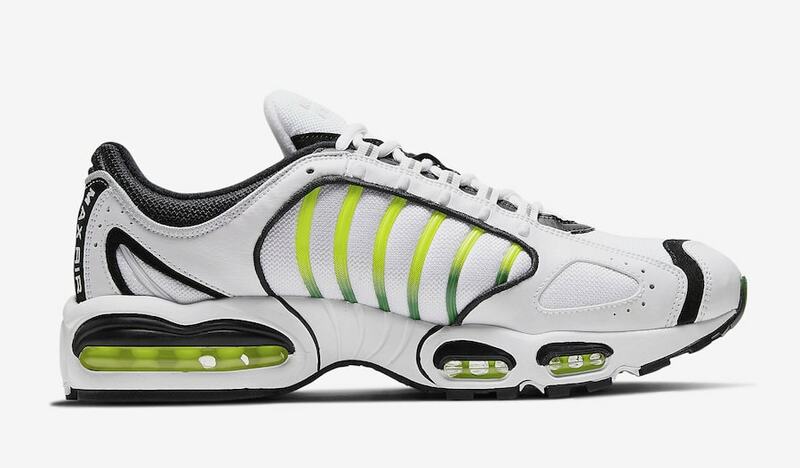 If you’re looking to pick up a pair of these 90’s runners, you won’t have to wait much longer. The shoes are set to arrive later this month on April 25th, 2019 at select retailers and Nike.com with a price tag of $170. 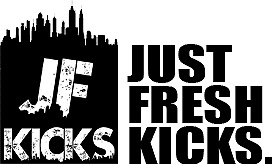 Check out more images below and as always stay tuned to JustFreshKicks for more Nike news.